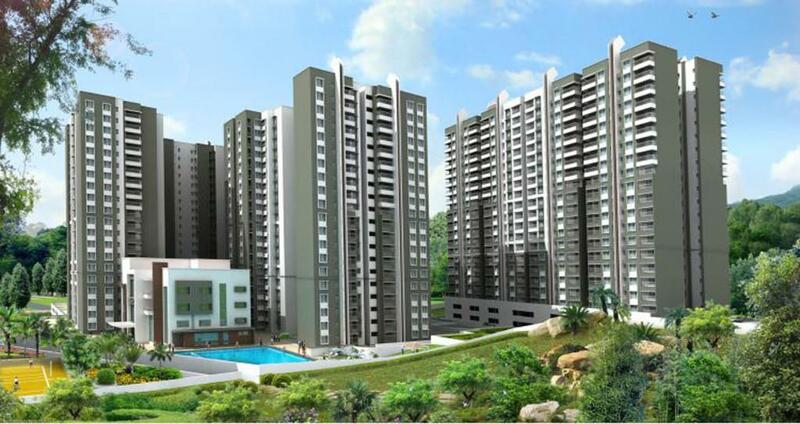 Prestige Lake Ridge is an Upcoming Pre launch project by popular branded home service Provider Prestige Group. Prestige Lake Ridge project is well constructed with the premium art of Modern Developed Structure with excellent engineering skills. Prestige Lake ridge shortly to be the coming project in Off Kanakapura will be the original name in Premium budget housing. It has luxurious 1BHK, 2 BHK and 3 BHK Apartments that are furnished with high end specifications. Prestige Lakeridge apartments are located very close to the Thurahalli Forest, promising its investors premium living in serene atmosphere. The project has 1 BHK / 2 BHK / 2.5 BHK / 3 BHK residential apartments with luxury fittings and fixtures to suit the budget of all segments. Prestige Lake Ridge is located in the prime location of Uttrahalli Off Kanakapura Road Bangalore and enjoys good connectivity to all points of interest located in and around Bangalore. Prestige Lake Ridge Project is located in an area which is very convenient for the IT professionals. What makes the project one of the most coveted ones is its excellent location linking it with all significant landmarks of Bangalore. Prestige Lake Ridge Bangalore is a composite of 1, 2 and 3 BHK segments of accommodations to be structured in the coming time period. This gigantic realty plan is over spread in the total land area of 15 acres. As per the floor plan of this residential depiction, apartments are planned to develop in the area ranges from 600 square feet to 1750 square feet. This edifice is equipped of ultra modern features to be indulged soon. Bangalore has developed radically and within that you have sectors that have prospered for one or the other reason. One of these sectors which is up and coming right now is Kanakapura Road. Moreover, it points out that Bangalore’s realty market is anticipated to grow at the rate of 30 per cent annually in the next ten years, adding to that, foreign investment worth $30 billion. “In the recent past we have realized that NRI, who have made Bangalore their home, prefer to settle in south Bangalore due to the cosmopolitan crowd in this part of the city. Also, with signs of recession slowly but surely waning away, companies are on a hiring spree, more and more people are eyeing to settle down here.” This stretch includes prominent locations like Kanakapura Road and Sarjapur Road. Electronic City and locations like Mysore Road have a presence of strong office development, predominantly IT space. For the sake of convenience of understanding, it can be split into three main parts. The first, beginning in the heart of South Bangalore at Banashankari; but as far as potential for development goes, the area has been squeezed dry as of now. What is considered the main section of Kanakapura Road today is from the Outer Ring Road at Banashankari going up to the Khoday’s factory. The next section of the stretch starts right here and moves on to Harohalli and the Art of Living campus. And finally, the third sector is beyond this, largely made of agricultural land which several builders have now acquired for large scale properties. Caught in the development of this area have been some periphery regions like that of Konankunte, parts of JP Nagar, Uttarahalli and a few other areas. Metro Rail Phase I (under construction) till Puttenahalli planned to be operational by mid – 2014. It is anticipated that the Metro will be extended till Anjanapura Township though the alignments are to be confirmed. With the upcoming Metro construction, J P Nagar and Banashankari continue to retain their attraction as residential destinations. The prospect of connectivity to the central business districts via Namma Metro, even from as far as Tataguni, seems to have made this road further attractive. A study by real estate portal 99acres.com revealed that property price trends after the launch of the first reach of the metro have enabled a higher price push in Kanakapura Road and Jalahalli, which will be connected in the next reach. Land value on Kanakapura Road is upwards of Rs. 3,500 per sq ft in developed stretches, while average flat builders price their residential units at nothing less than Rs. 4,000 per sq ft. Listing out the major infrastructural developments in the area, “Kanakapura Road has become active on the real estate radar, especially in the residential sector, thanks to infrastructure developments such as: The establishment of NICE (Bangalore – Mysore Infrastructure Corridor) Road which has enhanced connectivity to Electronics City, Bannerghatta Road and Mysore Road. Bangalore Metro Phase 1 (under construction) till Puttenahalli, planned to be operational by mid – 2014. It is anticipated that Metro will be extended till Anjanapura Township though the alignments are to be confirmed. “Kanakapura Road and Mysore Road are among the emerging localities and hold potential for upcoming residential developments. Residential activity on Kanakapura Road has increased recently, especially after the completion of the NICE Ring Road and start of the Metro construction work. This location has grown as an extension of Jayanagar, J P Nagar and Banashankari. Presently, this micro-market is dependent on Jayanagar and J P Nagar for its social infrastructure needs. Mysore Road again has seen some growth in residential development, primarily in the budget and mid-range categories. The residential activity here is anticipated to rise with the expected Metro Rail connectivity”.